Eccentricity in the British sense is often a behavioural code for apologetics. If the man is totally off scale, somewhat dotty, he can be forgiven for being, well, eccentric. Never mind that he ignores the science, or regards the earth as flat. There is room for all of us on this peculiar earth, masked by that oft abused term reason. Which brings us to that curious cat by the name of Lord Christopher Monckton, or the 3rd Viscount Monckton of Brenchley. He reached prominence with his creation of a board game known as the eternity puzzle. Deeming it so demanding, he offered 1 million euros to the first person to solve it. It was done so within 16 months. His other hat, however, has been worn as a science policy advisor to the UK Independence Party. For years, Monckton has been going about claiming that he is a Peer with gravitas, a worthy critic of what he calls “consensus” science. Fine aristocratically puffy stuff, until you realise that he is rather guilty of the very things he himself claims. Make-believe, for one, is everywhere. For one, he is not the Lord he claims to be. 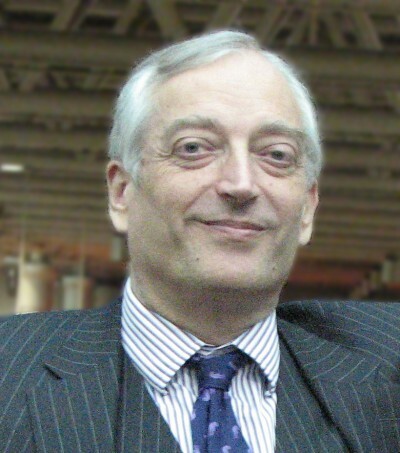 In July 2011, the House of Lords took the unusual step of publishing a so-called “cease and desist” letter on its website demanding that Monckton stop claiming to be a member of that body. David Beamish, as Clerk of the Parliaments, decided to go public with the letter to the Viscount, stating unequivocally that “you are not and have never been a Member of the House of Lords. Your assertion that you are a Member, but without the right to sit or vote, is a contradiction in terms.” A Peer, yes, but not a member of the House with requisite voting rights. In a sense, his relevance is minimal. He is the self-appointed voice in the wilderness, a climate sceptic Cassandra. This is not, in itself, a problem. Science is prone to its own ideologies and abuses. Militant convictions prevail on all sides, and there is a reluctance to often question what are taken to be obvious truths. But Monckton, having shown a sceptical side, proceeds ever so often to move into a delusionary one. The flipside of this is also important. When he speaks, those in the fossil fuel lobby, not to mention a good number of GOP members, listen. They might regard him as a charming toff of a fool – but he is a supremely useful one. In his attempts to regard the green movement as little storm troopers with Hitlerite foliage, mining magnates can happily go about renting the earth and defecating in its cavities for all its worth. Monckton’s presence was one of several at the Hotel California, near the Champs-Elysees in Paris. Various groups of climate change sceptics had gathered to compare ever diminishing notes. Their situation was one of noisy adversity, much of it the outcome of protest groups distributing “wanted” posters and slogans. “Arrayed against them [the sceptics],” noted Richard Valdmanis of Reuters, “are thousands of environmentalists, scientists and even big business leaders”. Only a handful of the 70 seats were filled. Monckton’s latest theory, one bamboozling in its nature, is the ultimate reverse conspiracy, a nod of respect for a political casualty of like mind. Those dirty sods in the United Nations, he suggests, were out to get Australian Prime Minister Tony Abbott from the start. Abbott, as readers will be aware, was as great a patron of coal as Henry the Navigator was of enterprising sailors. His adolescent love of blood, his pugilistic mania, were the sort to get any public school boy’s heart pumping. Abbott was so indifferent to the woes of climate catastrophe he won fans among such figures as the former Canadian prime minister, Stephen Harper. Being a commodity bumpkin, Abbott was perfect for an industry that, by its very nature, is finite. It lives for the moment, assumes that the future is for others. Trash the room, and someone is bound to clean it up for you. Such fears are the sort to come out of the pen of Dan Brown, and do Monkton no favours. Abbott, the Viscount suggested, had been urged to run for the leadership of his party by another climate change sceptic Ian Plimer, a current emeritus professor of geology at the University of Melbourne. The other main contender at that point? Malcolm Turnbull, of course. “I am quite sure that without Turnbull and his own faction, the UN would have found it harder [to topple Abbott].” Conspiracies are rather curious creatures.